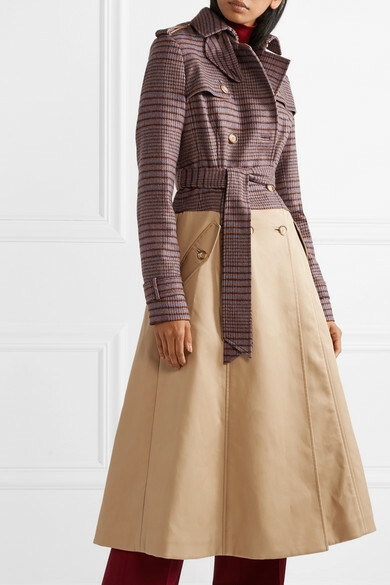 Gabriela Hearst's 'Armonia' trench coat debuted on the label's Fall '18 runway. 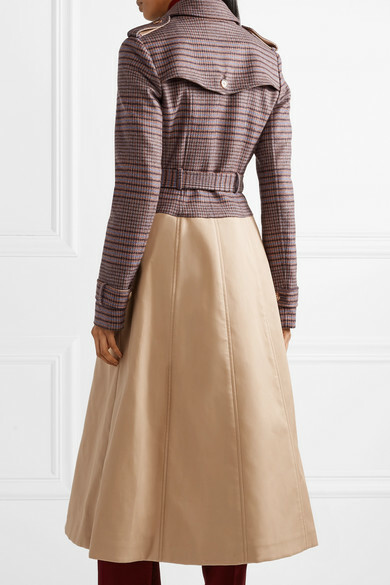 Cut from a wool and cashmere-blend, this style has a deconstructed silhouette - its checked body is spliced with a cotton-gabardine hem. 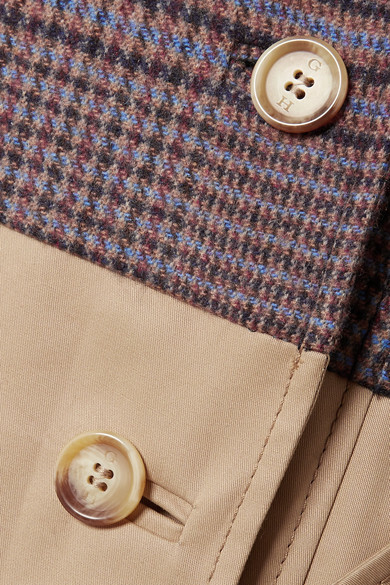 It also features traditional details like a double-breasted front, buttoned storm flap and detachable belt. Wear yours over a dress or tailoring with the brand's ankle boots. 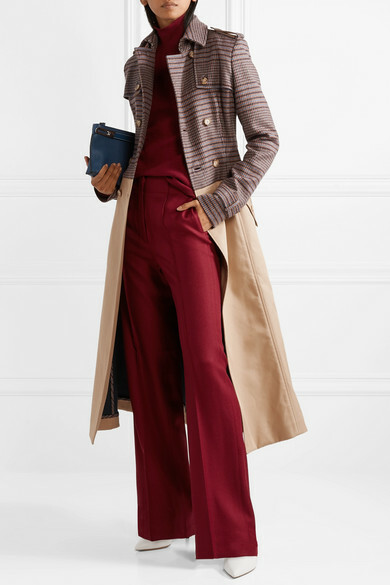 Shown here with: Victoria Beckham Sweater, Paul & Joe Pants, Loewe Shoulder bag, Gabriela Hearst Mules.